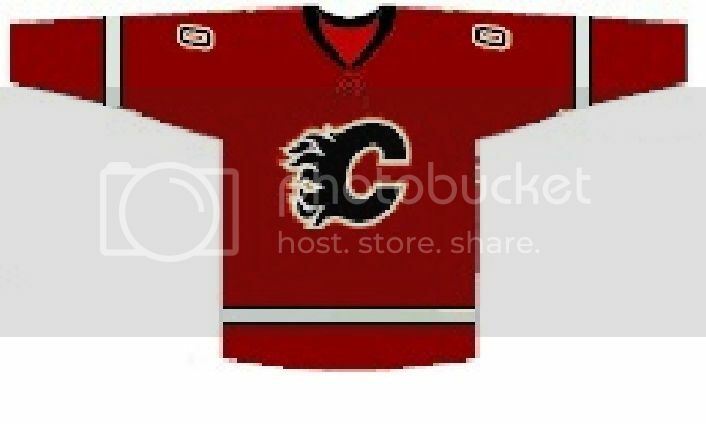 I've seen quite a few jersey concepts over the years for what people would like to see the Flames wearing - but for some reason, with the talk of the retros being perhaps used full time (which I don't agree with), and the current jerseys being too stripey and too flag-ey (in my humble opinion), I'm really wanting to see what people's ideas are for a redesign. I'm no artist, but I'd love to see something that's both classic and forward thinking at the same time. I agree with most here that thus far, the 2004's have been the best. 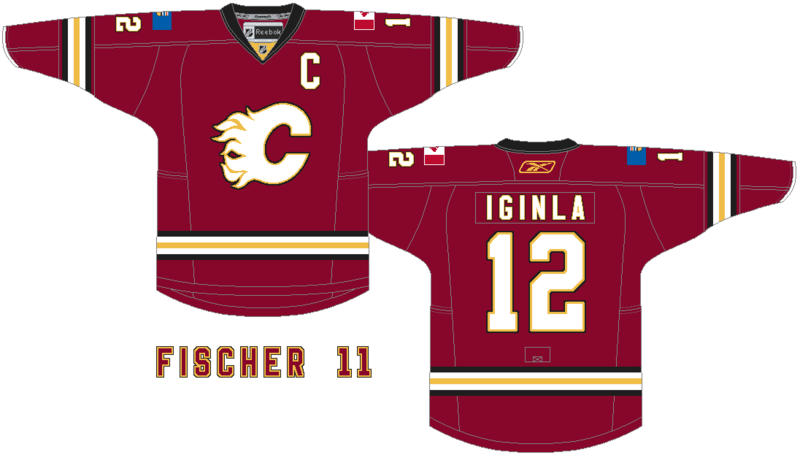 But with such an awesome motif as fire and flames, and the excellent flaming-c, we deserve to have one of the best jersey designs in the league! So I'm calling out those who are hoarding a design, or those with mad-skills to design one, or even those who have an all-time favorite design from another team to let everyone here know about it. Who knows if those with decision-making responsibilities check in here once and awhile? And as an aside - does anyone know what's been said officially with respect to the flags on the shoulders (which I believe were supposed to be temporary while they designed an alternate logo), or with a complete overhaul? Last edited by Dr. Pepper; 05-02-2012 at 04:18 PM. 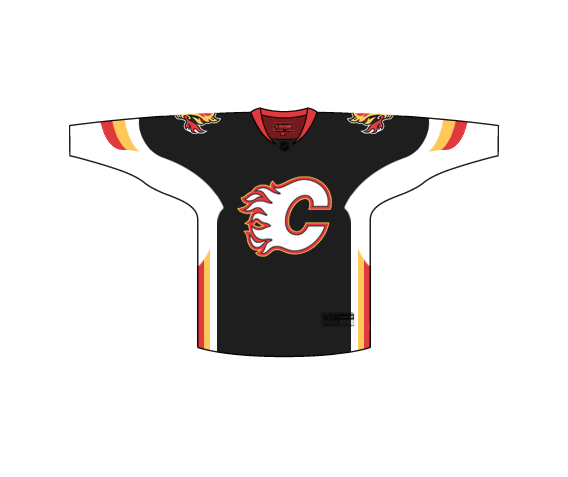 I think the current Flames home jersey is one of the best jerseys I've ever seen. That design is hideous. No horses please. Sorry, way too damn close to Phoenix's colours. 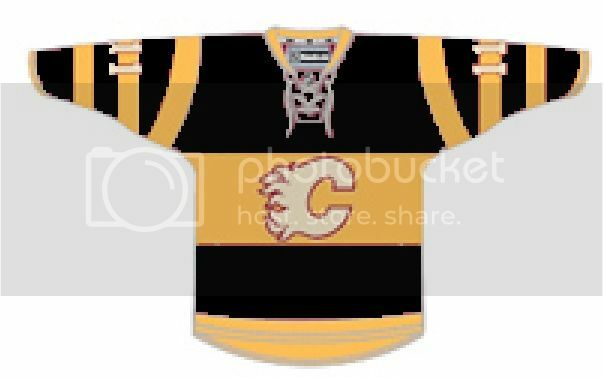 Our jerseys are some of the best in the league; piping, flags, or not. The 04's were good, but the C was too big. The 89's were amazing. The current retros look a bit silly with the red "shirttails" that come down underneath the yellow horizontal stripe. Still look pretty great though. I guess what I'm trying to say is that these concepts are awful compared to what we already have. Our current ones are not bad. I still have a nostalgic preference to the 89 jersey, still have one that I purchased the beginning of the 88/89 season. I know that anything with a flaming horse head, no matter how well its styled, still turns my stomach. Never did like the horse jersey ... probably never will. 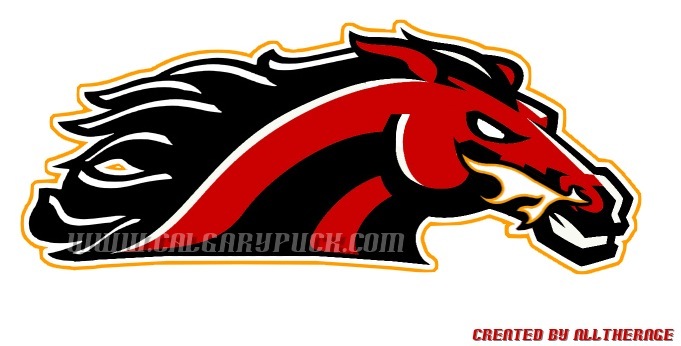 The horsehead, the pedestal, and the 30th anniversary patch are pretty much the worst things ever created. Make the retro jersey the home, introduce a white version. Problem solved. I'd like to see the shoulder flags replaced with a new patch. I've seen lots of neat designs here so they should be able to think up something that fits the colors. It looks like the horse is chewing gum and about to blow a bubble. I might be alone on this but I wish the retro jerseys would go back to 1989. Seriously, the were good back then but they are stale and dated now. The 04 Jerseys were by far the best we ever had.